Companies that provide products and services to the federal government (either directly or indirectly through another supplier) may need to meet certain security mandates set by the National Institute of Standards and Technology (NIST). NIST Special Publication 800-53 and NIST Special Publication 800-171 are two common mandates with which companies working within the federal supply chain may need to comply. NIST 800-53 has been around for several years, so companies impacted by this mandate are familiar with the types of security changes required of their systems and processes to be in compliance. For many companies, especially small ones not directly doing business with the government, this is the first time they are hearing about NIST 800-171 and their need to comply. Companies that are working with the government (either directly or indirectly further down the federal supply chain) should be compliant with the latest NIST 800-171 mandate as of December 31, 2017.
Who needs to comply with NIST 800-171? How much will NIST compliance cost? What evidence do I need to provide to show compliance? The National Institute of Standards and Technology (NIST) develops and issues standards, guidelines, and other publications to assist in managing cost effective programs to protect information and information systems of federal agencies. The resources that NIST provides are recognized by and utilized by IT security, compliance, and risk management professionals in all industries as a "standard" for best practices. NIST is one of the nation’s oldest physical science laboratories and it is part of the US Department of Commerce. Congress established NIST in 1901 in an effort to remove a major challenge to US industrial competitiveness at the time—a second-rate measurement infrastructure that lagged behind the capabilities of the United Kingdom, Germany, and other economic rivals. The Information Technology Laboratory (ITL) at NIST promotes the United States economy and public welfare by providing technical leadership for the nation’s measurement and standards infrastructure. In the last 30 years, NIST has been a major force behind IT security initiatives. If you do business directly with the government, your contract may include technology requirements for compliance with cybersecurity standards. If you do business indirectly with the government (in service to a prime contractor), you may also be required to meet certain cybersecurity standards. With cybersecurity a focal point for all major industries, safeguarding federal supply chains is becoming more important than ever. NIST Special Publication 800-53 provides a catalog of security controls for all US federal information systems except those related to national security. NIST SP 800-53 was first published in February 2005 and companies impacted were required to be compliant within one year of that publication date. NIST Special Publication 800-53 provides a catalog of security controls for all US federal information systems except those related to national security. NIST SP 800-53 has had five revisions since its initial publication date, the most recent one was released as the first public draft August 15, 2017; as of January 8, 2018, the final publication date of that revision has been delayed. NIST 800-53 is part of the Special Publication 800-series that reports on the Information Technology Laboratory’s (ITL) research, guidelines, and outreach efforts in information system security, and on ITL’s activity with industry, government, and academic organizations. NIST 800-53 covers the steps in the Risk Management Framework that address security control selection for federal information systems in accordance with the security requirements in Federal Information Processing Standard (FIPS) 200. This includes selecting an initial set of baseline security controls based on a FIPS 199 worst-case impact analysis, tailoring the baseline security controls, and supplementing the security controls based on an organizational assessment of risk. The security rules cover 17 areas including access control, incident response, business continuity, and disaster recoverability. NIST 800-53 is considered the de facto standard for US government cybersecurity. NIST 800-171 is basically a subset of NIST 800-53. Companies who are already compliant with NIST 800-53 are automatically compliant with NIST 800-171. As of December 31, 2017, manufacturers that provide parts and equipment for suppliers serving federal and local governments must be compliant with the latest NIST 800-171 regulation. NIST Special Publication 800-171 (originally created in June 2015 and updated in December 2016) covers the protection of “Controlled Unclassified Information” (CUI) defined as information created by the government, or an entity on behalf of the government, that is unclassified, but needs safeguarding. 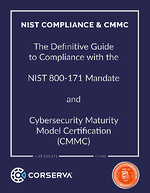 NIST 800-171 provides a set of guidelines that outline the processes and procedures that companies need to implement to safeguard this information. NIST 800-171 provides guidance as to how CUI should be accessed, shared, and stored in a secure fashion. The requirements recommended for use in this publication are derived from FIPS Publication 200 and the moderate security control baseline in NIST Special Publication 800-53. NIST SP 800-53 covers security controls for US federal information systems except those related to national security. The requirements and security controls have been determined over time to provide the necessary protection for federal information and systems which are covered under FISMA (Federal Information Security Modernization Act of 2014). By complying with NIST 800-171, you will also meet the majority of the criteria for NIST 800-53. Catalog of security and privacy controls for federal information systems and organizations to protect organizational operations, organizational assets, individuals, other organizations, and the US from a diverse set of threats including hostile cyber attacks, natural disasters, structural failures, and human errors. Why Have I Only Heard of NIST Recently? Federal Department of Defense (DoD) prime contractors have been working with NIST 800-53 controls since that publication first existed. The NIST 800-53 publication is a comprehensive guide to securing federal information systems. In general, DoD prime contractors (and not subcontractors working for primes) need to comply with NIST 800-53 if they operate federal information systems on behalf of the government (or if the requirements for NIST 800-53 compliance is included in their federal contracts). As of December 31, 2017, companies that provide parts and equipment for suppliers serving federal and local governments must be compliant with the NIST 800-171 mandate. For many companies, this is the first time they have had to deal with compliance. When NIST SP 800-171 first came out in June 2015, the original deadline for compliance was delayed, so many people thought the December 31, 2017 deadline might be delayed too. That has not happened. Now that the December 31, 2017 deadline has come and gone, it is clear NIST SP 800-171 is here to stay so many companies are suddenly scrambling to become compliant or at least to have a plan in place to do so. Unlike previous security mandates, this is the first one to impact subcontractors, in addition to prime contractors. Companies further down the federal supply chain now have new compliance requirements to which they need to adhere if they want to continue to do work for primes. These standards must be met by anyone who processes, stores, or transmits potentially sensitive information (CUI) for the Department of Defense (DoD), General Services Administration (GSA), NASA, and other federal or state agencies. This includes contractual agency relationships. CUI is defined as information created by the government, or an entity on behalf of the government, that is unclassified, but needs safeguarding. CUI is information that is sensitive and relevant to the interests of the US and potentially its national security, but not strictly regulated by the federal government. This is information that resides on your company’s internal systems. If you are a prime contractor (or a subcontractor), you may be logging into a portal and downloading information (such as a mechanical drawing) that is then stored on your internal systems. You may also see CUI referred to as "Covered Defense Information" — not to be confused with "Controlled Technical Information." Will you be in full compliance with the NIST SP 800-171 requirements by December 31, 2017? If not, do you intend to rely on the “alternative but equally effective security measures” provided for in DFARS 252.204‑7012(b)(2)(ii)(B)? Controlled Unclassified Information (CUI) is information the Government creates or possesses, or that an entity creates or possesses for or on behalf of the Government, that a law, regulation, or Government-wide policy requires or permits an agency to handle using safeguarding or dissemination controls. However, CUI does not include classified information or information a non-executive branch entity possesses and maintains in its own systems that did not come from, or was not created or possessed by or for, an executive branch agency or an entity acting for an agency. Law, regulation, or Government-wide policy may require or permit safeguarding or dissemination controls in three ways: requiring or permitting agencies to control or protect the information but providing no specific controls, which makes the information CUI Basic; requiring or permitting agencies to control or protect the information and providing specific controls for doing so, which makes the information CUI Specified; or requiring or permitting agencies to control the information and specifying only some of those controls, which makes the information CUI Specified, but with CUI Basic controls where the authority does not specify. Examples of CUI include email, electronic files, blueprints, drawings, proprietary company or contractor information (such as sales orders and contracts), and physical records (such as printouts). It is important to understand that CUI is not restricted to digital files; it can include paper copies, which are specifically referred to as "printed from an information system which processes or stores electronic files transmitted or stored on servers, desktops, laptops, mobile devices, etc." Let’s say that in the course of fulfillment of a federal contract, you receive email with attached files from the agency with which you are doing business. That information (which is CUI) now resides on your company’s email system (potentially on that workstation’s hard drive) and must be protected. Likewise, if you develop proprietary information for the DoD or for a prime contractor, that information must be protected. If you receive printouts through the mail or by courier service, that information must be protected. To comply with the NIST 800-171 mandate, companies must undertake a review, or assessment, of their critical systems as they relate to CUI. Typical systems to include are end user workstations and laptops, servers, storage devices, and network devices such as routers, firewalls, switches, wireless access points (WAP), and printers. Physical security may also need to be addressed. It can become complex very quickly. Entities that deal with government controlled unclassified information must comply. If you are in the federal supply chain, there is a high probability that you need to be compliant with the NIST 800-171 mandate. Typical entities with this kind of information include universities, research institutions, consulting companies, service providers, and manufacturers, especially manufacturing companies that are prime contractors, or that sub for prime contractors, for various government contracts. These entities will almost always have CUI on premise or in cloud based or provider based systems and applications. NIST 800-171 is not confined to prime contractors. (Learn more in "3 Myths About NIST 800-171 and NIST Compliance.") The standards outlined must be met by anyone who processes, stores, or transmits this type of potentially sensitive information (CUI) for the DoD, GSA, or NASA and other federal or state agencies. This includes contractual agency relationships and flows down to subcontractors. There are negative ramifications for not being compliant that can include the loss of customers. NIST not only applies to manufacturers directly selling to the government, but to any subcontractor selling to a government supplier. And even if today you do not currently provide parts for any supplier serving the government, do you really want to count yourself out of any future opportunities to sell to a supplier who does serve the government? Typically, prime contractors are notified by the DoD directly that they need to be in compliance with NIST 800-171. Flow down clauses within the contract will stipulate that any subcontractors of the prime also need to comply. For many subcontractors, this is their first experience with NIST 800-171 and they are unsure how to proceed. You should ask any of your own service providers or subcontractors if they have security controls put in place and how close they are to achieving NIST compliance. Through the flow down clause within a contract, you have a responsibility to determine what security deficiencies are in the supply chain through any partners you deal with (such as manufacturers and IT providers). The good news for manufacturers who embark on the effort to meet the NIST 800-171 mandate is that it provides a competitive advantage over manufacturers that have not. Also, a side benefit of becoming compliant with NIST 800-171 is that once you do, you have also made significant progress on the path to comply with NIST 800-53, another competitive advantage. Once you meet the NIST 800-171 mandate, you can contact your customers to let them know, and ask them if they know if all their suppliers are compliant. Is It Only Manufacturers That Must Comply? No, although a majority of companies that must comply with the NIST 800-171 mandate are manufacturers. Meeting government regulations is a challenge in every industry, and manufacturing is no exception. But remember, anyone who deals with CUI must comply. This can include engineering organizations, procurement services companies, fleet management companies, and staffing firms, in addition to manufacturing companies. Any company doing business with a prime contractor, subcontractor, or another company further down the stream in the federal supply chain is impacted by this mandate. Some organizations will receive direct notification about their need to comply. Some manufacturers that Corserva has worked with were first notified as far back as May 2016. If you are a manufacturer, you may have been notified by a prime contractor or subcontractor stating that you need to comply with NIST 800-171 as of December 31, 2017. Notification can come directly via mail or email. Alternately, you might be notified via messages you see when logging into a portal that you use for procurement or order management. Several of Corserva’s clients do not recall seeing any notification but have taken a proactive step to achieve compliance, knowing it is likely they will be asked about this eventually. Keep in mind that if you receive no notification, this does not mean you do not need to comply with NIST 800-171. It’s possible the notification was sent but the correct person to receive it never saw it. Corserva has worked with many companies who never received formal notification to comply. NIST Special Publication 800-171 is broken out into 14 different families of IT security requirements. Who is authorized to view this data? How do you control access to the CUI that resides in your organization (within your systems and within your operations)? Are people properly instructed in how to treat this info? When it comes to CUI, are your employees aware of the security risks? Are records kept of authorized and unauthorized access? Can violators be identified? How are your networks and safety protocols built and documented? What users are approved to access CUI and how are they verified prior to granting them access? What’s the process if a breach or security threat occurs, including proper notification? If there is an incident that puts data at risk, the DFARS 252.204-7012 clause stipulates that your partner must be notified. What timeline exists for routine maintenance, and who is responsible? How are electronic and hard copy records and backups safely stored? Who has access? How are employees screened prior to granting them access to CUI? Who has access to systems, equipment, and storage environments? For example, if you have one office with a front door and back door, what kind of security do you have? This could include locks, access control systems, and video monitoring systems. What is the physical environment like within your facility where the data is housed? Are defenses tested in simulations? Are operations or individuals verified regularly? Are processes and procedures still effective? Are improvements needed? Penetration testing and vulnerability assessments performed on an ongoing, regular basis are methods for measuring your security. Is information regularly monitored and controlled at key internal and external transmission points? How quickly are possible threats detected, identified, and corrected? The requirements for NIST 800-171 can be summarized into four main groups. If you have a firewall solution in place, you may already have a lot of these areas covered. A technical design that segregates systems used for CUI can be a cost effective method to achieve compliance. A defined IT system can limit the scope of work to be done. There should be comprehensive documentation that describes how CUI is controlled by every department within the company. Computer usage policies and internet usage policies are also helpful. A lot of cloud based backup solutions do not meet the NIST 800-171 requirements. There are native capabilities within many software systems that, when configured properly, can address these security requirements. At this point, you might feel as if your head is spinning. But the key points to remember for how to meet the NIST 800-171 requirements are: controls, monitoring/management, end user practices, and security measures. Think of it as working towards a goal. Becoming NIST compliant involves documenting a plan, and then working to that plan. The easiest route to determining your compliance status is an assessment by an outside third party, such as Corserva. 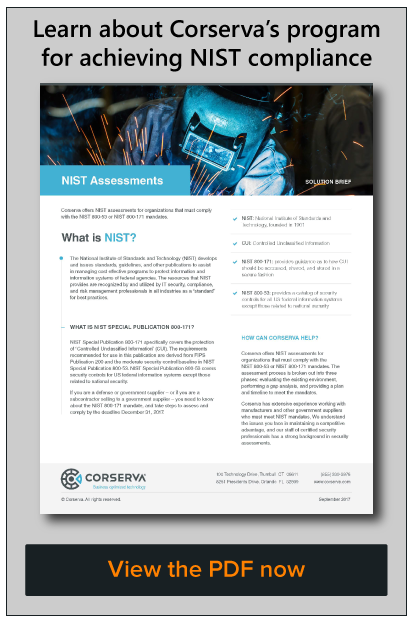 (See "Leveraging NIST Assessments to Become NIST Compliant.") You may already be working with service providers that have expertise in this area. It is important that you find a vendor with the specific security skills required for NIST assessments; not every managed services provider is qualified for this type of NIST security work. You should seek out a vendor with experience in this area of compliance and assessment as well as comprehensive experience in project management. A major benefit to using an outside third party is the level of expertise you will gain. By using an outside third party, you gain advanced expertise in specific areas instead of one person with a high level view, such as when using an inside resource. In our experience at Corserva, each phase takes 20-30 days with most engagements (depending on the size of the organization and the technology utilized). 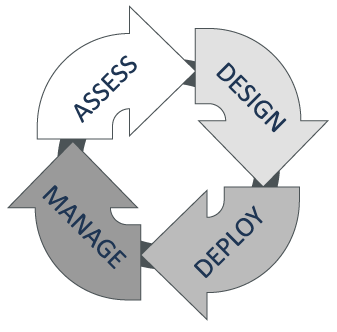 The end deliverable at the completion of these phases will be your compliance baseline. There are costs involved in becoming NIST compliant, but you may not need to spend as much as you think. Many companies already have some of the technology in place required for NIST compliance, which can make the assessment less lengthy. In those cases, the assessment will focus on what process changes are needed to meet NIST compliance. During the assessment process, the NIST partner will review your information systems environment as it relates to specific CUI use cases. You will be asked about different access scenarios. The partner will review your policies and procedures regarding IT systems – formal, informal, written, and not. If you have been working with an outside IT service provider, the NIST partner may also meet with them and will review their documentation. The NIST vendor will go through the 110 requirements across the 14 families as defined in NIST Special Publication 800-171, Revision 1, Protecting Controlled Unclassified Information in Nonfederal Systems and Organizations. For each requirement, the vendor will assess your company as fully compliant, partially compliant, or not compliant and include supporting documentation as well as recommendations of what changes to make to become compliant. From this assessment, you will have a specific roadmap to follow on the path to achieve compliance. This may involve process changes as well as new hardware or software. Any changes that are required based on the assessment can also be performed by the outside vendor that performed the assessment, your own internal staff, or an IT service provider you were already using to manage IT. After the assessment, you should plan for ongoing validation on a regular basis to ensure you stay in compliance with NIST 800-171. Costs to comply with NIST will vary based on the size of the organization, what technology you are already using, and how much CUI you have. In general, assessments by an outside party for very small organizations can start in the $5,000 – $7,500 range. Costs will scale up based on number of employees, number of physical locations, and number of systems that must be assessed. When using an outside vendor, implementation of any changes needed to become compliant based on findings in the assessment will be priced separately. The two main areas that will impact costs are processes and technology. A security savvy organization may have already adopted processes that keep data secure. Those processes will need to be assessed. Based on any holes found, changes will be warranted. In this example, processes may only need to be adjusted slightly. Other organizations may need to adopt completely new processes. Companies using modern workstations and the latest software will generally have less work to do than others with a low level of technology. Some organizations may need to make technology improvements such as upgrading to a next generation firewall, or configuring an existing firewall differently. Absolutely. In fact, if you have the time and internal resources, you can do it completely on your own — there is no requirement for any type of outside, third party assessment. For assistance, there is a wealth of information available online, for free, including the NIST publications themselves. Additionally, you can reach out to your local Procurement Technical Assistance Center (PTAC). There’s one in every state. Manufacturers can also contact their local Manufacturing Extension Partnership (MEP). Find yours at https://www.nist.gov/mep. You could also consider taking a middle of the road approach. If you have internal staff with some experience in compliance, you could use internal resources and expertise to perform a self assessment, making use of publicly available tools from NIST and other federal resources. Once you think you have performed an adequate assessment and made the required changes to meet compliance, you could then commission an outside third party to validate your efforts. Corserva has performed these types of NIST compliance validations for companies who have already taken significant steps to improve their security posture and want to confirm they meet the requirements of NIST 800-171. These types of engagements are priced accordingly and cost less than a NIST assessment. From the outside assessment (or from your own self assessment), you should produce a Plan of Action with Milestones (POAM) and a System Security Plan (SSP) that describes how any unimplemented security requirements will be met and how any planned improvements will be implemented. These plans should include detailed milestones to measure your progress. Nonfederal organizations should describe in a system security plan, how the specified security requirements are met or how organizations plan to meet the requirements. The plan describes the system boundary; the operational environment; how the security requirements are implemented; and the relationships with or connections to other systems. Nonfederal organizations should develop plans of action that describe how any unimplemented security requirements will be met and how any planned mitigations will be implemented. Organizations can document the system security plan and plan of action as separate or combined documents and in any chosen format. Not only must you create these plans, you must implement these plans. Ideally, your plans will include implementation steps with scheduled dates of completion. I Thought the Deadline was Delayed? On December 7, 2017, Ellen Lord, the Defense Undersecretary for Acquisition, Technology, and Logistics, testified before the Senate Armed Services Committee. Lord testified that for 2017, the only DoD requirement to protect DoD CUI is to have a System Security Plan in place, which can be a "simple" plan. "We said that clearly the only requirement for this year is to lay out what your plan is," said Ellen Lord, Defense Undersecretary for Acquisition, Technology, and Logistics during the December 7, 2017 hearing. While this testimony was described as a delay of the compliance required by DFARS clause 252.204-7012, it is not a delay. It is consistent with NIST-800-171, rev. 1, and 252.204-7012. There has been no change. Although it is possible that a company can be in compliance with NIST 800-171 without ever going through an assessment and validation, we have never experienced this. For every company we have performed a NIST assessment or validation, we have found areas that need to be corrected to be in compliance. We have never performed a NIST engagement where we determined that no changes were required to meet NIST 800-171 compliance. In every case, we have found processes and procedures that must be implemented or modified. NIST is a non-regulatory agency of the US Department of Commerce. It's not as if auditors will storm your premises to see if you are in compliance. But your contracts will be at risk. There are ramifications for not being compliant. If an auditor becomes aware that you have not achieved compliance, you can risk losing your existing contracts. If you are a prime contractor, your federal officer could ask you about your plan for compliance with the NIST 800-171 mandate (if they haven't already). If you are a subcontractor, you could be asked by your prime or sub at any time. If you don’t become compliant with the NIST 800-171 mandate or have a plan in place to do so, you will be ineligible for any potential future contracts. If a government contractor does not have proof of compliance, the company risks removal from the approved DoD vendor list. The DoD Chief Information Officer must now be notified within 30 days of contract award of any security requirements not implemented at the time including cybersecurity compliance. What If I've Missed the Deadline? Some prime contractors have been very active in notifying their subcontractors of the need to comply with NIST 800-171. Many subcontractors Corserva has dealt with have not been directly notified at all, but they want to be proactive in achieving NIST compliance as they expect to get notified at some point. These manufacturers want to be able to answer affirmatively that they are compliant or have started down the path to achieve compliance when they are inevitably asked about it. It’s not too late to become NIST compliant and you will benefit from doing so. If your prime or subcontractor has not asked you about NIST compliance yet, consider yourself lucky. When you are asked by your prime, sub, or DoD contracting officer, you want to be able to say that you have a plan for becoming compliant with the NIST 800-171 mandate and you have started down the path. What Happens Next After I've Become Compliant? With whichever method you choose to become compliant with the NIST 800-171 mandate, there are several questions you should start thinking about. Is there an InfoSec policy in place? What physical security do you have? Have you done any type of cybersecurity assessments in the past? How many workstations (if not all employees have computers)? Is everyone in one location or do you have multiple locations? What type of physical equipment do you have within your network? How many end user workstations? What operating systems are you running? Is there any type of encryption in place? What are you using for email? Which applications are you using, both on-premise and cloud-based? Do you have any firewalls? How is your network connected to the internet? Do you have a DMZ (demilitarized zone)? How many printers do you have and how are they accessed? What are you doing for backup? How does CUI enter your organization and in what format? How many of your users have access to CUI? In which systems and applications is the CUI stored? How is CUI accessed by staff? How is CUI shared amongst staff? Is CUI accessed by remote staff? Is CUI transmitted to other entities, and if so, how?